Allow yourself to be “susceptible to the universe” when you write a book that sparks a movement, an interview with authors Sara Connell & Homer H. Hickam, Jr.
Be open. Let your mind wander. It is when we allow ourselves to be susceptible to the universe that our destinies are revealed. As part of my interview series on the five things you need to know to become a great author, I had the pleasure of interviewing Homer H. Hickam, Jr.
Homer H. Hickam, Jr. was born on February 19, 1943, the second son of Homer and Elsie Hickam, and was raised in Coalwood, West Virginia. He graduated from Big Creek High School in 1960 and from the Virginia Polytechnic Institute (Virginia Tech) in 1964 with a BS degree in Industrial Engineering. A U.S. Army veteran, Mr. Hickam served as a First Lieutenant in the Fourth Infantry Division in Vietnam in 1967–1968 where he won the Army Commendation and Bronze Star medals. He served six years on active duty, leaving the service with the rank of Captain. Hickam’s first book was Torpedo Junction about the battle against the U-boats along the American east coast during World War II. A military history best-seller, it was published in 1989 by the Naval Institute Press. In 1998, Delacorte Press published Hickam’s second book, Rocket Boys: A Memoir, the story of his life in the little town of Coalwood. It became an instant classic. Rocket Boyshas since been translated into many languages and also released as an audio book and electronic book. In February 1999, Universal Studios released its critically-acclaimed film October Sky, based on Rocket Boys(The title October Sky is an anagram of Rocket Boys). Delacorte subsequently released a mass market paperback of Rocket Boys, re-titled October Sky. October Skyreached the New York Times # 1 position on their best-seller list. Mr. Hickam has since had a very successful writing career with many best-sellers including Back to the Moon, The Coalwood Way, The Keeper’s Son, and Carrying Albert Home. Mr. Hickam is married to Linda Terry Hickam, an artist and his first editor and assistant. They love their cats and share their time between homes in Alabama and St. John, US Virgin Islands. When you were younger, was there a book that you read that inspired you to take action or change your life? Not one book but many. My parents were avid readers and had bookcases filled with books at home. After Mom taught me to read when I was four years old, I constantly pawed my way through their stacks of books and read anything that looked interesting. Our teachers at the Coalwood school also encouraged reading. We started with the Bobbsey Twins, then graduated to The Hardy Boys, Nancy Drew, Tom Sawyer, and Huckleberry Finn. I nearly always had a book or two checked out of the school library. I read The Great Gatsby in the second grade but didn’t much like it. Mom told me I would understand it better later in life and she was right. Faulkner fell into that category as well although I found anything by Steinbeck as very accessible to me even as a child. When I was in the third grade, our teacher told us to write a short story. I wrote about a boy in ancient Rome and the teacher liked it enough she told me that maybe when I grew up, I could make a living as a writer. I thought to myself, “Why wait? I could use the money now!” This caused me to start my own newspaper which was somewhat successful until I wrote a story about my mom falling down in the creek. After that, she took my First Amendment rights away. My purpose in writing Rocket Boys (aka October Sky) was to bring alive once more the town of Coalwood and its people by using the story of me and the other Rocket Boys as the strongest thread to pull my readers along. I was surprised when the initial reviewers saw the memoir as something different and much larger than I did. They saw it as an inspirational tale that showed, through the many defeats but ultimate success of the Rocket Boys, that any great goal is possible if one is willing to stand up and work hard enough to attain it. As soon as the book was published, I was overwhelmed by the mail that came flooding my way from readers praising what I had written and letting me know the book had inspired them to go after their goals and never give up until they succeeded. When the movie based on the book came out, the flood became a tsunami. Over the twenty years since, the mail continues to come in the form of snail mail, email, and public media forums letting me know how the book has affected readers and their families. Besides those readers who said they’d been inspired to succeed, I also began to receive many messages from men and women of my generation telling me they had similar experiences with their parents, especially their fathers who came out of the Depression and World War II and expected a great deal out of their children. These were invariably tough men who rarely expressed affection for their children. One letter I received said, “My dad never told me he loved me but your book has given me unexpected insight about that. I just want you to know I’m going to tell him I love him whether he likes it or not!” I also hear from many engineers and scientists who tell me they decided to go into their professions after reading my book. I didn’t expect that at all. There is another movement that started as a result of the book and the movie and that is the number of people who have gotten involved in model/amateur rocketry. This hobby has expanded many-fold and some of the amateurs have moved professionally into the rocket/space field. Because of Rocket Boys/October Sky, Coalwood itself experienced something of a rebirth, at least for a while. For thirteen years after the memoir’s publication, the few people left in the town held an October Sky Festival and I attended each one, allowing me to savor being back in my old hometown with friends and family while also helping its people raise much-needed financial assistance. After the people there could no longer support the festival, the larger town of near-by Beckley picked up the challenge and have held a Rocket Boys Festival each year since. I am always inspired by the men, women, and children of the coalfields of West Virginia who come to the festival and allow me to meet them and hear about their hopes and dreams for a better future. The primary drawback of Rocket Boys/October Sky was the book and especially the movie seared in the minds of many people that I am principally a NASA scientist even though for the last two decades I have been fully engaged in a career of writing both fiction and nonfiction. As an example, I wrote a well-received trilogy of novels set during World War II but when I was on book tour, most of the questions that came my way were about Rocket Boys/October Sky or about NASA. That can tend to be frustrating but I work hard never to show it. Can you articulate why you think books, in particular, have the power to create movements, revolutions, and true change? Reading is an active pursuit with the mind involved so as to create pictures of the people and actions described on the printed pages, or to take the ideas expressed and allow them to bump up against our beliefs and modify our very thought patterns and how we feel about anything and everything. In contrast, movies are generally received passively while we are at rest. Only a little thought is required to take in scene after scene on the screen and although we may experience emotion while watching, it is generally not the kind that is retained for long. This is why films rarely change us the way that books do. The occasional film, however, can break through in a powerful way and October Sky is definitely one of them. My writing habit is to constantly rewrite, revise, and restructure as I go along even while plowing ahead. This may seem a dichotomy but it’s just the way I do it. As I write on, fully knowing it isn’t my best work but needing to get it down and the story moved ahead, I am thinking about what I’ve already written and how to make it better. Some days, I spend entirely rewriting up to the point where I stopped the day before. Other days, I push ahead. It creates kind of a push-pull to the process that works for me. It can stress my wife, however, when she asks what chapter I’m on a few days before the manuscript is due and I reply, “Chapter One.” One of the reasons I think readers like my work is that I won’t let it go until I am fully satisfied with it, that it is structured so the reader will want to turn the pages to see what is going to happen, and that the characters I write about are interesting enough that folks enjoy spending their valuable time getting to know them. love all your books but don’t let any of them hold you back from writing the next one with all the passion in your heart and soul. 1) To be a good writer, you have to be a good reader, especially in the genre you want to work within. For example, if you want to be a romance writer, read every romance you can until you understand what makes that genre tick. 2) When you are reading something you enjoy, stop for a moment and ask yourself why. Take a moment to dissect the writer’s technique and learn how and why his/her work is effective. 3) Write something interesting, tell a good story, and put passion in your work. What will grow from that only time and readership can tell but it might spark something greater than expected. 4) Don’t get hung up on your first book, reworking it over and over for years and years. It’s usually the second or third book that truly makes a writer’s career because he’s learned so much from writing the one(s) that didn’t work. 5) Be open. Let your mind wander. It is when we allow ourselves to be susceptible to the universe that our destinies are revealed. I am at the stage in my career that I just want to tell a good story with interesting characters that might also have a moral or philosophy or two hidden away for my readers to discover. The movement started by Rocket Boys/October Sky — that anyone can succeed if they have the passion to do so — just keeps growing and growing. There is little I can do at this point to enhance that except to be gratified that I was given the talent to accomplish the work by my maker and further encouraged by my parents, my teachers, and the people of Coalwood. 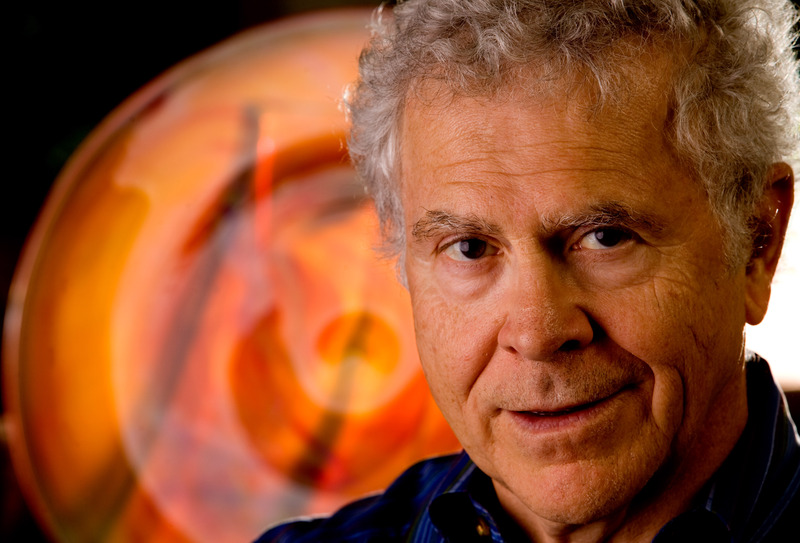 I am on Facebook (two places: Homer Hickam and also the Homer Hickam Official Page) and Twitter (@realhomerhickam). I also maintain a website, www.homerhickam.com.